Hypermedia systems may be one of the most significant contributions to the Internet in recent years. This powerful new technology has revolutionized the delivery of e-content through the internet. However, as the needs of users have changed, the hypermedia systems themselves have also changed. In just the past few years, adaptive and adaptable hypermedia systems have emerged. These systems can custom tailor information to individual end-users. The introduction of these systems yields countless benefits for both users and businesses. 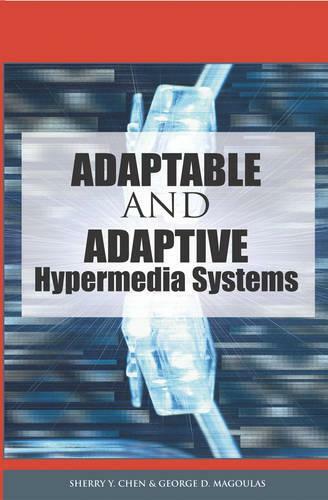 Adaptable and Adaptive Hypermedia Systems examines both types of new hypermedia systems; discussing the benefits, impacts and implications of both. This book covers the most current issues in the field, while providing insight into analytical and architectural aspects of the topic. Additionally, applications are provided in real-world settings to allow for a better and more thorough understanding of hypermedia systems.